There you are, calm, level headed, objective. You’ve helpfully offered to mediate between two employees who’ve clashed. They are at the initial ‘story telling’ stage and you sit composed, with your impartial and non-judgmental hat on. You are patient, attentive, doing the rapport thing… nodding, kindly eye contact, open body posture and empathic ‘hmms’ at appropriate intervals. You let them ‘vent’ a bit…they need to get it off their chests. But as each unfolds their side of the story the spark plugs in your brain are firing into action mode. You can see immediately and with unerring clarity what the problem between them is. Simple and obvious solutions flash into your mind. Yet, you remind yourself it’s not your job to tell them what to do – this is mediation after all. So you let them argue on. But they just don’t seem to be able to make progress. You can see the answer so clearly. You have a real hunch what would sort this out in just a few minutes. Ah…it’s so tempting to want to jump in and fix it for them. Do you often find yourself in the mediator chair tempted to solution-ise, maybe not quite directing people but definitely leaning towards the ‘would-you-not-try…’ questions? This is a clear sign that you have fallen in to one of the most common pitfalls that can trip rookie mediators. Staying out of ‘fixing it’ is always the number one challenge identified in reflective learning assignments from my mediation trainees. But seasoned mediators can falter here too. It’s the ‘I-Can-Fix-It’ feeling… that gnawing ache to stick your oar in, that frisson, the tingling sensation of having the perfect solution in your head to someone else’s problem… combined with a compelling impulse to impose it on them. Culturally we are programmed to see problems as something we need to roll our sleeves up and sort out. Many of the roles we occupy at work are ones where we are expected to use our training and expertise in whatever field we work in, to solve problems. ‘You’ve spent years delivering advice and getting promoted and praised for it. You’re seen to be “adding value” and you’ve the added bonus of staying in control of the situation. 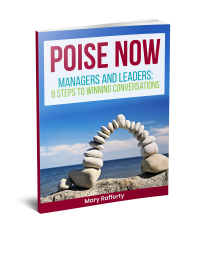 When people are frustrated or upset, they tend to articulate a strong, often defensive-sounding view about what needs to be different – a position. Often what’s really important to them, their ‘interests’ can be hidden from view – even from themselves. So the mediator in fix-it mode may well be coming up with solutions to the wrong problem. You end up falling prey to your own confirmation bias and missing what’s the true underlying issue. For what to do instead, check this earlier post. Stanier draws on research from Edgar Henry Schein, former professor at MIT Sloan School of Management who has written extensively on the role of helping in organisations. One of the key drivers to engagement and motivation is that people have a sense of choice and autonomy over what they do. Giving people solutions undermines this – it’s like you blow out some of the fire that will light their own motivation to do something. If you provide the answer you inhibit them having to seek it out for themselves. You preclude them having to make a decision for themselves. So the resolution to the conflict is likely to be short-lived because it’s your agreement, not theirs. Schein points out that jumping in to offer solutions diminishes the status of the other person(s). You are positing yourself as the person who ‘knows’ the answer so they are automatically on a lower status level. This unconsciously creates a barrier between you and them and lead them to resisting the help or advice being offered. So even if your idea or solution is really the ‘best’ one, you may well have put people off it by being the one to put it on the table. People in conflict are upset, angry, anxious. When they come for help to a mediator, they have run out of road in terms of their own resources to sort it out. Your job as the mediator is to point them back to their own inner resilience and ability to effectively manage this situation. Telling them or hinting at solutions that you’ve come up with just reinforces their helplessness. You are giving them fish instead of helping them figure out how to fish themselves. Revolving door mediation is the next stop for them. One of the pillars underpinning the role of the mediator is that each of the parties trusts that you have their interests at heart. You are not taking sides – either theirs or the other person’s. They trust that you have created a safe and non-judgemental space for them to think and talk this situation through. If you propose a suggestions or solution, it’s likely to be more acceptable to one side than the other. The less-favoured person will immediately interpret this as you being ‘on the other person’ side’. You have now lost their trust. Time to pack up and go home once you have lost the connection and trust with either party in the mediator’s chair. Mediation is a fantastic process and tool. But despite the many benefits it offers people to dialogue and communicate about their issues, they don’t always come to a resolution. There are lots of reasons why – most of which have to do with the mindset the participants are in. The reason is seldom their inability to come up with the enlightening or inspiring suggestions like those you might be putting forward. Taking on the burden of trying to resolve the unresolvable is really hard work. And it’s not even your job, in the role of a mediator. So let’s be clear about it. As the mediator there are many ways you can support people to resolve their issue. Coming up with the answers for them isn’t on that list. Your role is to facilitate dialogue, not to give people solutions. Remember, when you act on the ‘I-Can-Fix-It’ feeling, the only person’s needs getting met in that moment are yours.